Last month MEPs voted in favour of legislation that would give member states greater powers to choose whether to grow EU approved genetically modified (GM) crops in their territories. Although many GM crops have been approved for the EU market already, only one, Monsanto’s maize variety MON810, is currently commercially cultivated. The delay in more widespread GM cultivation in the EU is due in part to political disagreements, such as a member state’s right to decide on GM farming, and also in part to public perception in the alleged safety risks associated with these plants. Another significant issue is that the only well-known GM producer, Monsanto, has been the subject of widespread protests due to their questionable business and environmental practices. Following the implementation of this new legislation the UK is likely to start GM cultivation, and being Ireland’s only bordering nation this could have effects on Irish agriculture. The flow of modified genes into wild plants and non-GM crops is a concern for ecologists, consumers and farmers. The transfer of traits from GM crops to their wild counterparts could have significant environmental impacts. The right of consumers to choose to eat GM food would be impacted if GM traits were passed to conventional crops, or if GM crops were mixed with conventional crops without consumer knowledge. There has been several cases in which transgenic DNA was found in supposedly non-modified food destined for human consumption. A well-known example of transgenic contamination occurred in the US with the StarLink corn crop. This plant was engineered to produce its own pesticide, Bt toxin. The gene however was discovered in maize grain and flour used in the human food chain prior to its approval for human consumption, resulting in the first ever recall of a genetically modified food in 2000. This cost Aventis CropScience, the company that created the crop, an estimated $500 million in compensation and reparation. In 2006 another mishap in the US with the company Bayer CropScience resulted in a variety of transgenic rice mixing with varieties destined for human consumption, costing Bayer $750 million. These hefty fines and lawsuits have meant companies are now more careful about the contamination risks. This did little for consumer confidence in GMOs in the US. 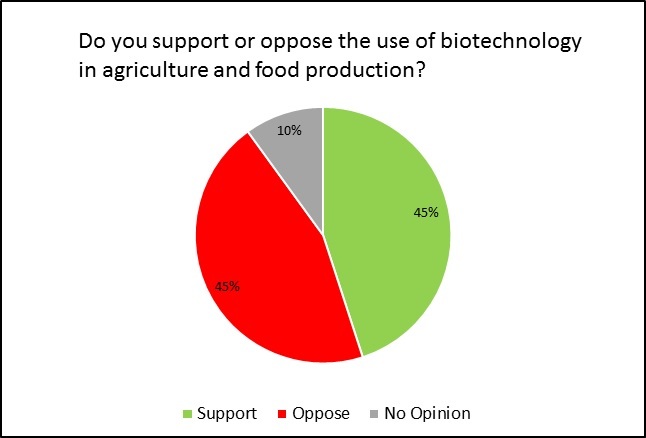 Polls in 2005 showed that nearly a half of people opposed the use of biotechnology in food production and a third of people believed it posed a serious health hazard. Although these cases are based in the US, the likelihood of GM contaminations in the EU will increase as cultivation increases. Even if countries like Ireland maintain their ban after the passing of the new EU legislation, risks of cross-contaminiation over our only land border still posses a risk to Irish agriculture. GM cultivation in the US and Asia is established and widespread but the framework regarding GMOs in the EU is quite different. Strict rules and national bans have meant European GM farming is very limited. In the EU all GMOs go through a lengthy and rigorous risk assessment before a plant is approved for release into the environment. After release farmers using these crops are required to cultivate them in a certain way to reduce the risk to humans, animals and the environment. One approach for containment is the use of buffer zones which limit the risk of cross-pollination of GM and conventional crops, and reduce the risks to the environment. These zones play a hugely significant role in the prevention of gene flow, and their sizes depends on the methods used for cross-pollination of each particular crop species. For example, maize cross-pollinates primarily by wind. Maize, a plant native to the Americas, has no wild counterparts in Europe, and so the main risk it poses is cross-pollination with non-GM maize crops. Buffer zones therefore need to be wide enough to ensure the risk of wind-driven cross-pollination of non-GM maize is extremely unlikely. Biological barriers are also used for containment of some crops. Examples of which include the induction of male sterility or seedless varieties, further reducing the chances of uncontrolled release. Even with these measures in place the EU has seen an effective ban on GM crops. This may change with this new legislation allowing country-by-country approval. What many people may not realise is that practically all the food they purchase in supermarkets has been altered with a form of genetic modification. Plants and animals have been altered by humans ever since we began farming. The vast majority of the foods we consume do not exist in the wild. For example cattle and pigs as they look today do not exist in the wild and never have. The same can be said about practically all store-bought fruit and vegetables. Over the past 14,000 years humans have been engineering bigger and more productive plants and animals for our consumption using artificial selection. A recent and well-known case of this was by Norman Borluag, also known as “the man who saved a billion lives”. Borlaug and his team developed semi-dwarf, disease resistant, high yield wheat varieties which have been credited for saving a billion people from starvation and providing food security in parts of the world that had none. These high yield varieties also use less land, reducing the need for deforestation. Lab-developed genetic modification could bring this even further, and in a more precise manor. Instead of selecting traits and cross breeding those traits over many generations, the genes that represent the desired characteristics can be isolated and transferred into another species at a genetic level. The benefits for people and the environment can be huge. Plant varieties can be created that require less pesticides and fertilisers. Monsanto’s MON810 has been engineered to resist the European corn borer, reducing the need for pesticide use on that plant. This means less run-off of chemicals into the ground and waterways reducing the environmental side effects of large scale farming. Crop varieties have also been created that require less water. With these plants less water needs to be taken from rivers, crop failures due to drought can be reduced and crops can be grown in previously unfavourable environments. Although EU legislation regarding GM crops comes into effect this spring, it is unlikely GM crop cultivation will be expanded for the next few years. Vote in the poll and share your views on GM cultivation in the comments below. From an ecological perspective, the cultivation of transgenic crops appear to pose multiple risks to both flora and fauna. Organisms which interact in food webs from different trophic levels such as parasitoids are most likely to effected by induced resistance against herbivores. Paraitoids feeding on plant nectar, sap or to extract pollen may potentially endure poor quality resources from resistant crops. Consequently, the density of both natural host plants and parasitoid arthropods available to predators may become severely depleted. The interference of the production of volatile chemicals that enhance plant appeal to natural enemies may be inhibited. Parasitoids may be particularly vulnerable as they are often host specific. Bt toxins are known to adversely impact larval stages of Lepidoptera and Coleoptera non-target and target species. Many laboratory based studies do not test effects on all larval stages of organisms which may be affected by transgenic plants. Laboratory experiments are typically only conducted on a small spatial scale over a short time frame. may release toxins into the soil through roots and after harvest as remnants of plants are broken down in the soil which may expose non-target soil organisms/micro-organisms to impacts residual toxins. Resistant transgene crops may also compete with non-resistant weeds on field margins and roadside verges. The density of natural host plants and parasitoid arthropods could also be depleted using traditional forms of pest control, like spraying. Bt toxins may be known to impact non-target organisms but can that not be said about insecticides that are applied externally to crops too? And would those sprayed-on chemicals not have even more of an effect on soil and/or aquatic organisms due to run-off? I agree that pesticides as well as genetically induced resistance in crops are likely to impact non-target host specific invertebrates, generalists as well as crop field plants but overall GM crops pose similar risks to conventional crops if not a greater. The reason been, I know they allow strains of resistant crops spread to field margins (or cross pollination with wild strains) and beyond which become potentially invasive superweeds which can compete other herbacious perennial plants and would be unpalatable to native invertebrates. The consequences would be a subsequent further decline in biodiversity and as mentioned already interuption of local food webs. Bt crops can also lead to a build up of toxins in soil. The most obvious solution could be to produce new herbicides to control the population of ‘GM crop weeds’ which would only cause further environmental impacts. I believe organic crops are the way forward in part, at least on a local scale. Furthermore, I would have reservations on patented male sterile versions of biotech crops which would not be valuable for fruit and seed producing crops and may increase costs for producers. I chose no opinion, although I do have one. GM crops need to be approved on a case by case basis. As our population keeps increasing we will need to increase food production. On the one hand, developing crops that grow faster or larger could be beneficial, however I am not in favor of crops that produce their own pesticides as I oppose the use of pesticides and insecticides. The reason being, when we kill off pests and insects it has a knock on effect on other species that feed on them. It also has a knock on effect on plants by wiping out pollinators. Furthermore if these GM crops were to be approved/denied on a case by case basis, testing would need to be done by impartial scientists with no connection to companies using the GM products. No pesticide or insecticide use would be great but can food production be increased, or even maintained, without them? 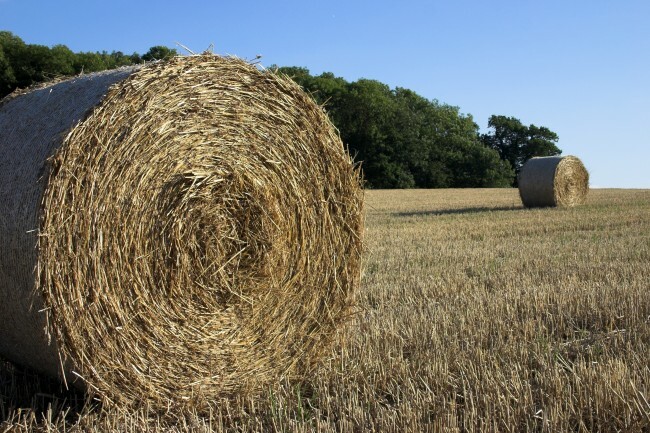 I think with a crop that produces its own pesticides and stores them internally there may be less impact on other species but potential for more impact on consumers, whether through our food or animal feed. Only the organisms feeding on the plant (and organisms feeding on them, and so on) would be effected by internally held pesticides but if they spray a whole field wouldn’t everything in the field, pest or not, be exposed to the treatment, having knock-on effects in those trophic webs too? Interesting point. It just goes to show how complicated this subject is. Also, while I favour testing, someone needs to fund this testing. This, along with the fines you mentioned add considerable costs, so the companies involved then need to patent their crops to recover those costs, opening up a whole other can of worms.